Manufactured for Canadian Conditions, our Premium Grade SJTW cord is made to be the perfect all around cord for use in our harsh conditions. We include a triple outlet rugged and durable end that lights up when it is plugged in. 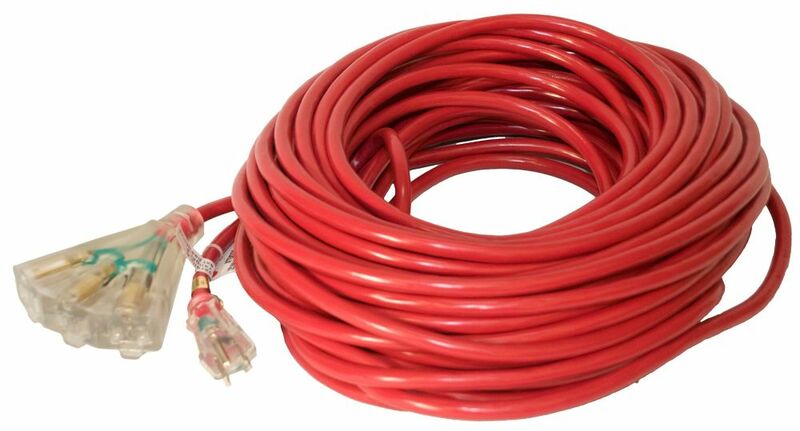 SJTW 14/3 30.4M (100Feet) Triple Lit end - RED Manufactured for Canadian Conditions, our Premium Grade SJTW cord is made to be the perfect all around cord for use in our harsh conditions. We include a triple outlet rugged and durable end that lights up when it is plugged in.